Imagine a satisfying career with Qatar Airways - Dinner in Paris, Lunch in New York, Breakfast in Montreal, while cruising around the world at 40,000 feet on some of the most modern aircraft in the world is definitely not your typical office job. The Qatar Airways Cabin Crew team is growing. Qatar Airways are looking for candidates who can deliver their mission by providing "Excellence in everything we do". Known for their 5 star hospitality, Qatar Airways look for future Cabin Crew who can be part of their "World Class Global Brand". Join their multinational Qatar Airways Cabin Crew Team and enjoy a tax-free remuneration package including accommodation, allowances and transportation for duty. Before you attend their cabin crew recruitment event, we can help to ensure your CV and photos look impeccable. Remember that your CV and photos are very important as first impressions are so important in this competitive field. Our professional CV is what we describe as "relevant content building". We correct poor grammar, rephrase skills and examples in the way that airline recruiters wish to see, provide a professional layout and ensure you highlight your transferable skills. All of this for just GBP£50. Qatar Airways take pride in their staff, they have a dynamic and culturally diverse workforce. 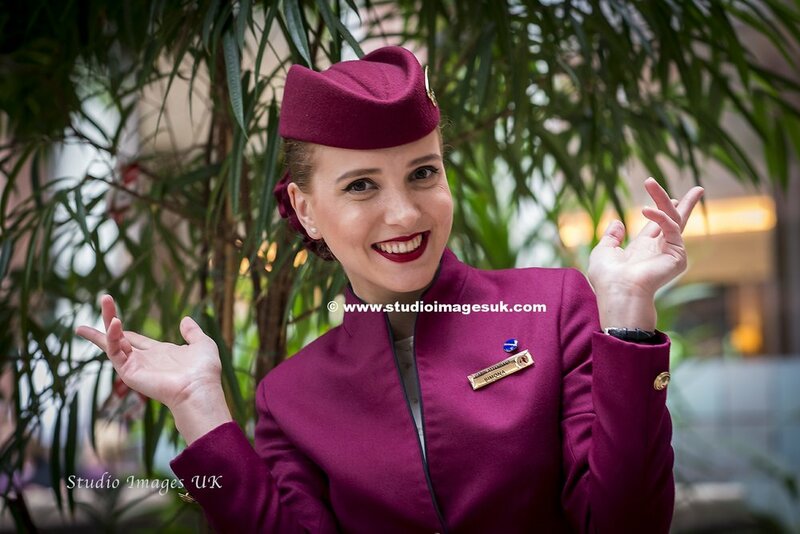 Qatar Airways Cabin Crew are Qatar Airways' Ambassadors to the world. You can either apply online at Qatar's recruitment portal or attend the open day (but not both!). To prepare, don't forget that we provide a full CV review and CV writing service, as well as a photo editing service from your own photos. Find out more by clicking the button below.